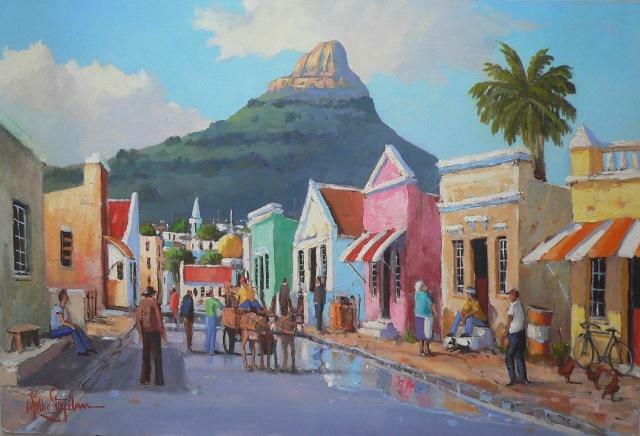 Willie Strydom was always sketching anything that tickled his fancy. He attended art school at the Pretoria Technikon where he studied graphic design and fine arts. After a stint of 12 years at an engineering firm and 15 years as a partner in a cubboard factory, Willie decided to concentrate fulltime on his painting. He now aims to establish himself in the art world. The artist's most recent work is in oil and acrylic on canvas and he loves the vibrant colour this versatile medium gives him. Willie's colourful interpretations of life have found their way into galleries and private collections all over South Africa. He is also commissioned annually by a commercial bank to paint vintage Ford cars for their annual prize giving. 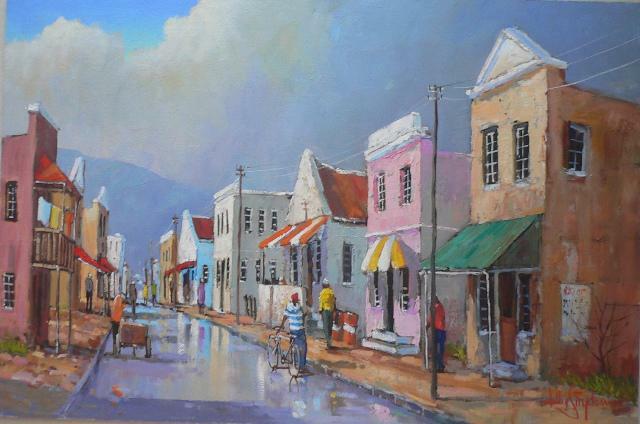 Willie draws inspiration from his country and its history, especially from the old District Six and the Bo Kaap. His spontaneous response to the canvas is reflected in the freshness and happiness of his art.